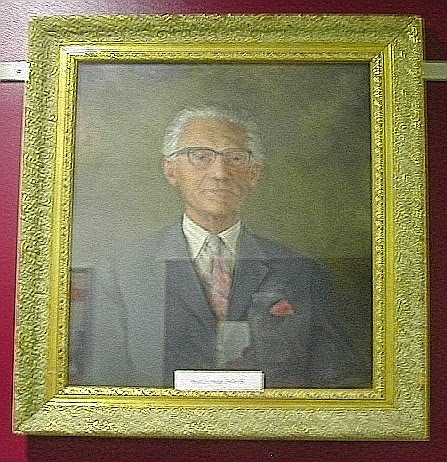 Sam Medlar was Head of Hele's Boys Grammar School, Exeter through the 60s until 1973; he probably disliked being called Sam but all the boys did it. At that time the grammar system was still the default and he presided over a school named after Elize Hele, an illustrious Tudor Exonian who left money in his will for the school's establishment. It was explained to me once that Hele's executors were so corrupt that it was not in fact founded until 1850. Of course, in the town Hele's was overshadowed by Exeter School - “Public”, with all that word doesn't imply. Sam's tenure coincided with well documented British social change. He was, almost literally, “old school”, and I think he struggled with the sight of boys with immensely flared trousers (nowadays rightly regarded as laughable) and hair of sometimes extraordinary length, school rules notwithstanding. I had a couple of minor run-ins with him but nothing serious: corporal punishment was on the books as the ultimate sanction but I have no memory of it ever being deployed. His difficulty with boys who were plainly intelligent (no conceit intended), but who enthusiastically adopted the fashion of shabby and disorderly dressing was obvious. I think this was the only fashion in which I ever took any interest and I have still to move on from it. Sam's revenge came at one's exit interview: after suitable small-talk and probably sincere wishes for the future, some but not all boys were invited to join the Old Heleans and left his sanctum clutching an application form – not me. Time has passed and you can now join online, which I have done. The buildings I recall are long since demolished and the name of the school has lapsed (at least partly under pressure from the OH). Odd bits of memorabilia are on display in the replacement school, St Peters. 40+ years ago, I had an unthinking teenage disrespect for the war memorial and portraits of Heads past, but the passage of time is a curious thing. Of course, the school song was “Forty years on”. Exeter School continues in uninterrupted business.